Organisers of the Tokyo Olympics are lowering farmed animal welfare standards to meet food production needs for the games. Help support the Legacy for Animals campaign to make animal welfare a priority and cage-free eggs and stall-free pork a reality at the 2020 Games. The Tokyo Organising Committee of the 2020 Olympic and Paralympic Games is reducing welfare standards of farmed animals to produce meat, eggs, and milk for the Games. In protest, the Animal Rights Center and The Humane League Japan have teamed up to form Legacy for Animals and are campaigning to improve the welfare of animals used in food production. 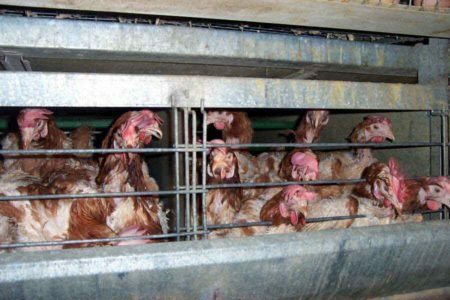 Under current plans, eggs for the games will come from battery hens living in unsanitary and cramped conditions. They are unable to move, suffer from injuries, broken bones and disease and often find themselves stuck between cages, where they starve to death. When no longer useful, hens are thrown into cramped containers and taken to slaughter where their heads are cut off without stunning. Alternatively, around 150,000 hens are boiled alive in Japan each year. Both the London and Rio Olympics served cage-free eggs only, while several countries have banned the battery method. Free-range eggs are also better for athletes as they contain more Vitamin E, β-carotene and omega-3, all of which promote improved athletic performance. Caged eggs are also associated with Salmonella enteritidis, while no association is apparent in free-range or organic. 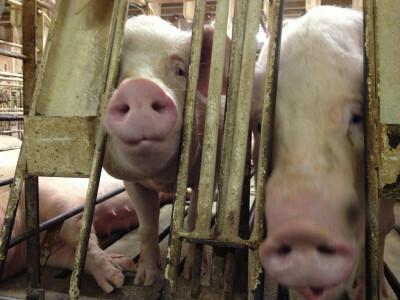 Pork is set to come from sow stalls where conditions are unsanitary and monotonous, and cages are small. 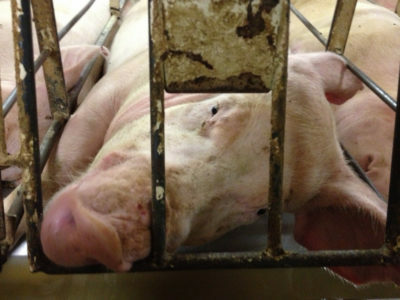 Pigs often experience violence and chew the bars of their cages out of boredom. They are also forcibly impregnated, give birth while confined to their crates and are only able to nurse piglets for 21 days before being taken away and impregnated yet again. Sow stalls and gestation crates were not permitted during the London Games but were for Rio. But, sow confinement is not just bad for animal welfare but also for consumers. Stress caused by poor conditions increases the production of hormones like catecholamines and glucocorticoids. These are absorbed upon eating pork and are associated with reduced muscle mass, decreased immune function and, in some cases, changes in mood. In 2016, JGAP (Japan Good Agricultural Practice) certification was created for use during the Tokyo Olympics. But it falls short of global standards set by the World Organisation for Animal Health and makes no mention of slaughter techniques. Take action now and sign the petition for a campaign already supported by several Olympians across the globe.